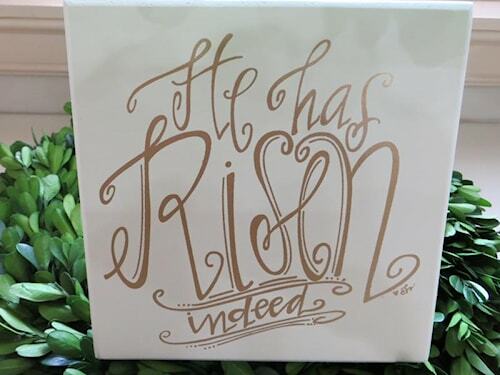 He Has Risen Indeed Box Sign. Gold painting on cream box. 6" x 6" x 1 1/2"
Stands alone on shelf or hang on wall.